After four years as CEO of Methodist Children's Homes in Mississippi, Mike Duggar is saying goodbye. In a letter to the MCH family, Duggar talked about his plans and his replacement. It is with much sadness that I announcement my resignation as your President and CEO. I have recently accepted a position at Lutheran Family and Children Services in Missouri. It has been my greatest joy to serve alongside you these last four years. I was able to make this difficult decision because I believe we are in a great position for a new CEO to step in. 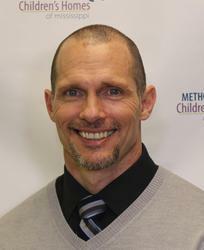 It is an honor and privilege to announce Devon Loggins as the new President and CEO of your Methodist Children's Homes. You will quickly realize that Devon is a man of integrity and loyalty. Like you, Devon has a heart for children in need, and over the past 3.5 years, he has served MCH as the Chief Operations Officer where he has continued to improve the quality of programs and services to better serve our children. Devon has over 15 years experience in providing crisis interventions in the field of corrections and working with at-risk youth. He received his bachelor of social work degree from Arkansas State University, his MSW from the University of Pittsburg, and is a Licensed Clinical Social Worker. While he has served all over the country, Mississippi is his home. He was raised in Winona, MS and is looking forward to a long tenure as President and CEO of MCH. 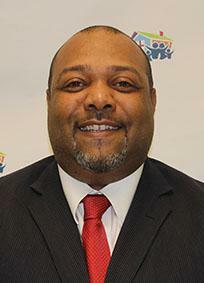 Please join us in welcoming your new President and CEO of the Methodist Children's Homes, Devon Loggins. Over the next few months, he is looking forward to getting to know you through phone calls, meetings, church speaking engagements, and at our 4th annual Day of Hope. Thank you for your support and prayers during the next couple of weeks as we go through the transition process. Your dedication to our children and youth is what makes MCH different from any other group home. Thanks for just being you, and for loving us always!